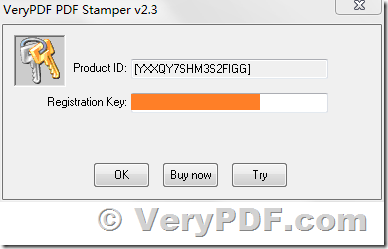 Hello, we had installed the trial version and now we purchased a copy but cannot see where to apply the license code to our product, please help! 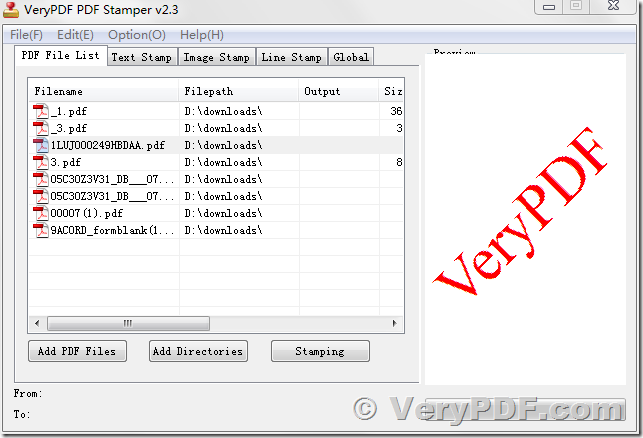 "C:\Program Files (x86)\VeryPDF PDF Stamper v2.3\pdfstamp.exe"
How to stamp PDF with text? 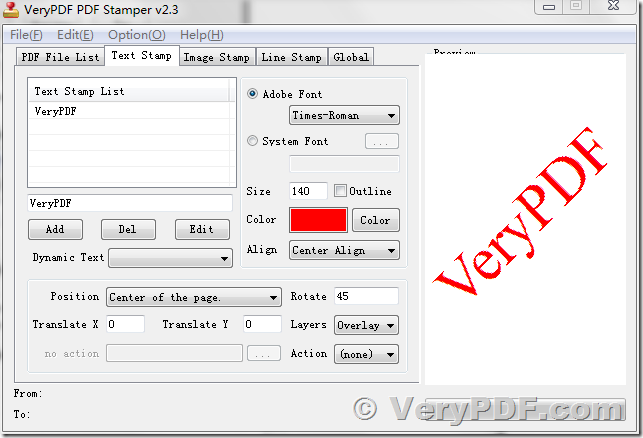 How to batch stamp PDF? This entry was posted in PDF Stamp and tagged pdf stamp, pdf stamper, pdf watermark, stamp PDF, watermark pdf. Bookmark the permalink.